Many parents today spent their childhood riding their bikes and playing games like baseball or dodgeball on side streets and in neighbors' backyards. Many children today spend much of their time indoors, playing games on their tablets or watching television. The American Academy of Pediatrics says lots of unstructured outdoor play is critical to the health of children, though many have experienced a marked decline in the time they spend in free play. It may be hard to accept that children could experience stress or suffer from conditions like depression or anxiety, but these issues are becoming more common for today's children, who have busy schedules with school and extracurricular activities. 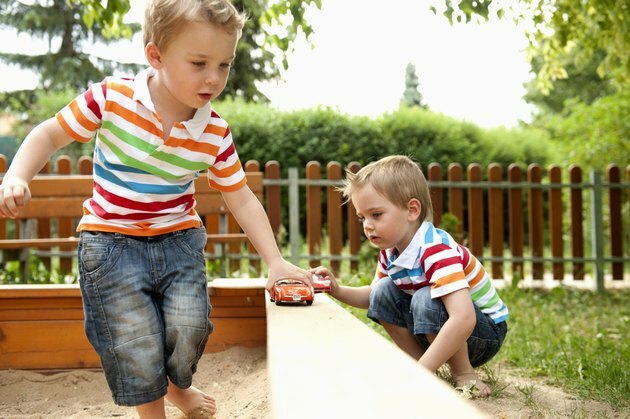 Physical activity in the form of outdoor play can help kids reduce their stress. The Children & Nature Network says contact with nature can help reduce stress levels and positively impact conditions such as anxiety or attention deficit hyperactivity disorder.